While not in Austin proper, El Rincon is just up the road a bit in verdant Pflugerville, Texas, 13 miles up Cameron/Dessau Road and in the heart of the old downtown area. Open since the 1980s this is one hell of a Mexican restaurant. I go here for the best flour tortillas outside of San Antonio. The thick, lard based wrappers are hand rolled then cooked on a scorching hot comal til little tawny blisters pop up. They are divine. But this article concerns itself with chips and salsa. The moment you’re seated a waitress will deposit quart glasses of ice water and a big basket of totopos along with a red sauce. This is when you need to request the salsa verde. The red is the ordinary kind you find all over the Austin area. It offers little as it’s basically a conveyance of tomato flavor with faint, faint notes of chile and cilantro. The green is another matter entirely. It’s a loose poblano/onion style with plentiful tart tomatillas and cilantro. With the popular rise of the emulsified green sauce all over Austin in recent years it’s nice to see an old school verde still being served in these parts. The totopos are nothing special. Neither house made nor house fried, they serve as mere means of transporting the delicious green sauce into your mouth. Nothing more. 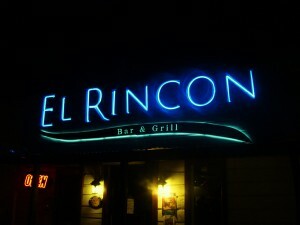 El Rincon serves breakfast lunch and dinner 7 days a week. While they are an institution in Pflugerville they are unknown to the average Austin diner. Were they to open in our town they would immediately vault into the top 1% of Austin’s Mexican restaurant scene. This entry was posted in Rural Texas, The State Of Chips And Salsa In Austin Texas and tagged Austin, breakfast tacos, corn tortilla, flour tortilla, salsa, san antonio, scratch tortilla, taqueria, texas, Texas Daily Photo, tortilla. Bookmark the permalink.